In recent years, it has become more and more common for startups and small businesses to be crowdfunded – that is, they are funded by a large number of ‘backers’ who donate small amounts of money on websites like Crowdcube and Kickstarter. Crowdfunding usually offers backers one of two things: rewards or equity. The rewards model offers products or other rewards to their investors depending on the amount invested, while the equity model gives out shares of the company. Some investors are simply fans of the company or the product, while others are hoping to make a good profit. There are numerous benefits to crowdfunding. The most obvious one is that it’s very easy to set up a crowdfunding page on a large platform that attracts good attention from a worldwide audience. 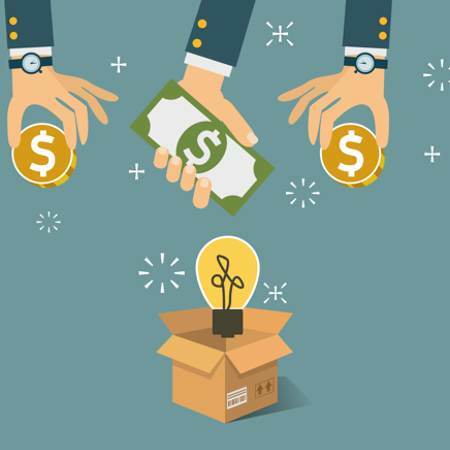 Crowdfunding also helps a business or product owner to gauge their product’s popularity at its infancy stage and identify their potential customers, many of whom remain fiercely loyal to the brand or business for a considerably long time since they’re involved with the growing business from the beginning. So, what are the downsides to crowdfunding? Like any investment, it is never a guarantee for success – and failing to deliver can cause public backlash. Also, two-thirds of crowdfunding campaigns do not reach their goals, meaning the start-up dream ends before a product is realised. Struggle may also happen to well-funded projects. The British firm FFF Ltd raised £5 million on Crowdcube for Sugru, a type of reusable glue, but failed to mention the risks associated with bank loans they had also taken out. The product was not as successful as anticipated, and in May 2018, FFF disappointed investors when they sold Sugru for only £7.6 million to the German company Tesa – that’s £25.4 million less than what they had said it was worth on Crowdcube. As a result, investors face losing 90% of their investment – and just like the crowdfunding was very public, so is the failure. Should your business rely on crowdfunding? While crowdfunding seems like an easy way to raise money, it can also be unreliable in regard to how much you can raise, as you can’t predict how many investors will back you. The temptation to offer generous perks for larger investments should also be considered carefully, and if it takes a while to turn your concept into a realistic product, your backers may become impatient. That being said, crowdfunding definitively has its benefits. Most crowdfunding sites only charge a fee if your project is successful, and the fee is usually fairly low, at around 5%. Large crowdfunding sites have millions of potential backers waiting to make their next investment. In other words, you are taking a fairly small financial risk but also reaching a big audience. The most important thing is to do your research first, check the terms and conditions of each crowdfunding platform available to you, and carefully consider what you can give your backers in return for their money. As with all investors, the people who back your business on a crowdfunding platform are more likely to part with their money if they feel like it’s a sound investment. You should carefully consider what you can offer, and make sure that you have a plan in place for every scenario. With the help of specialist small business accountants Tax Agility, you can work out a solid business plan with a clear strategy. As experienced London accountants for startups, we can help get your business off the ground, and you can avoid the common mistakes that many enthusiastic business owners make.